For over 18 years, Future Forest Consulting, Inc. has rooted unique long term partnerships with forest landowners across New York State to ensure the perpetual stewardship of their timber and wildlife values. WHY CHOOSE FUTURE FOREST CONSULTING, INC.? Our experience and education will realize you a higher timber sale value and more frequent intervals (10 – 15 year cutting cycle). Foresters compensation is covered by higher timber sale value achieved through competitive bidding. Proper tree selection leaves a healthy forest, more resistant to pathogens, infestation and physical damage from wind and ice. Increased access via graded skid trails used for recreation or removal of firewood. Preserving and increasing wildlife habitat and increasing food production for wildlife. Proper forest management provides sustainable income from the property, which can assist in payment of taxes. With a main office in Naples, New York and a satellite office in Syracuse, New York, Future Forest stands ready to serve your forestry needs. Ontario, Livingston, Steuben, Allegany, Yates, Wayne, Monroe, Wyoming, Seneca, Cayuga, Genesee, Cattaraugus, Onondaga, Orleans, Erie, Chemung, and Chautauqua. Future Forest Properties, LLC. was formed to accommodate the sales needs of our timberland clients. We have combined the legal qualifications of licensed salespeople and brokers with the knowledge and experience of professionally trained foresters to develop an efficient, effective method for assessing, marketing and selling timberlands throughout our area. We not only specialize in the marketing of timber tracts, but also serve those looking to buy or sell recreational properties. With our Forestry and Real Estate Brokerage backgrounds, we feel uniquely qualified to assist you with your purchase or sale. As the nation and world recover, slowly from the financial crisis, many investors are turning to timberland as a safe and sound investment. Due to land appreciation and increasing timber values, timberland has proved to yield steadier returns than the equity market since World War II. Plus, you have the added benefit of recreating on it or leasing to improve cash flow. 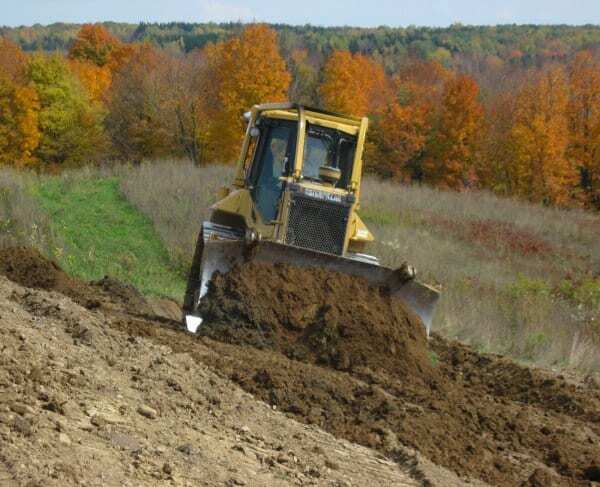 Future Forest Consulting now provides excavating services which include pond installations, pond cleanouts, driveway installations, site grading, land clearing for agriculture or development, tiling for agriculture, and septic systems. Many clients find it favorable to utilize timber proceeds from their property to fund capital improvements. Call us for an estimate. The Emerald Ash Borer Found in Monroe, Steuben, and Livingston Counties The Emerald Ash Borer (EAB) has been confirmed at sites in Monroe, Steuben, and Livingston counties as well as other counties in NY. Since its discovery in Southeastern Michigan in 2002, the EAB is responsible for the destruction of over 70 million ash trees in the U.S. The beetle has been moving steadily outward from its first discovered infestation in Detroit, Michigan, and has now been found in 13 states and two neighboring Canadian provinces. 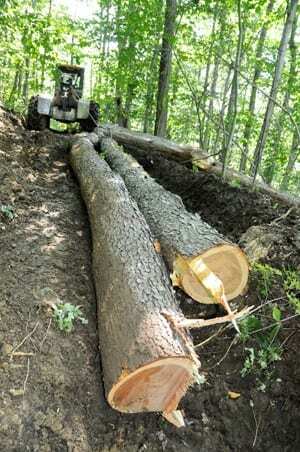 There are no economical alternatives to treating Ash trees on a forest scale basis. However for residential trees, various methods of application are available which protect trees from 1 to 3 years. Genesee Tree Service is an affiliate and provides treatment for residential trees in the Rochester area and can be contacted at 585-385-4060. Recommendations for Ash within forested stands vary based on trees sizes and quantity. For larger Ash trees capable of being sawn for lumber, a commercial harvest is recommended to capture the value of the trees before they are compromised by EAB. Typically a minimum of 100 Ash trees are needed for a commercial harvest to be viable. Smaller Ash trees can be harvested for firewood or can be cut and left to recycle back into the soil. Currently Ash timber prices are excellent and demand is high. By thinning younger Ash trees out, other hardwood crop trees are able to repopulate the stand. Either of these methods are desirable as they slow the progression of the EAB through the regions, with fewer host trees being available. Timing of these management activities are best prescribed through the help of a consulting forester.